Oculus Rift is out, but Oculus is in. Even as Facebook's virtual reality system had just 99,000 shipments during the first quarter of 2017, the Oculus deal with Samsung drove the latter company's shipments to five times as many units over the same period. Samsung's Gear VR runs software co-developed with Oculus. However, both Facebook, with its Oculus division, and Samsung show up in the top five companies shipping VR and augment reality headsets in International Data Corp.'s latest Worldwide Quarterly Augmented and Virtual Reality Headset Tracker. 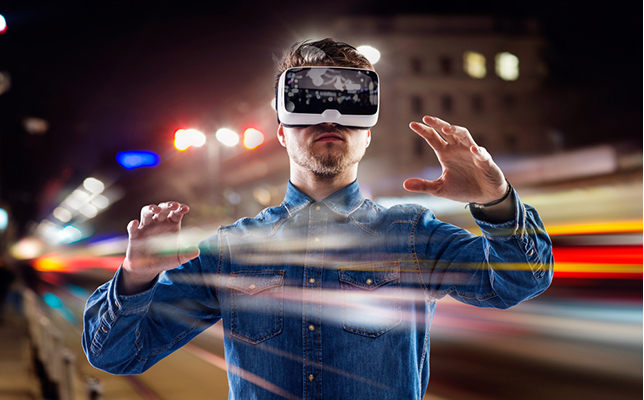 This information source provides research on vendors, technology, market opportunity and trends for the categories of VR and AR. So-called "screenless" viewers dominate, with two-thirds of all headset shipments. Devices such as the Samsung Gear VR and Google's Daydream View do have screens, but they're provided by the smartphones that are inserted into the headset to run the VR apps. Screenless is the term adopted by the industry to describe headsets that don't have to be "tethered" to the high-end computing device. The tethered headsets, including the HTC Vive, Oculus Rift, and Sony's PlayStation VR, make up the remaining third of the market. IDC suggested that what's slowing down sales of headsets from any of the players in the segment is a perceived lack of software worth running. "The VR market is still very young and consumers seem to be taking a cautious approach," said Jitesh Ubrani, a senior research analyst for IDC, in a prepared statement. "With plenty of headset options already in the market and even more coming soon, hardware isn't the issue. The bigger challenge is the slow growth in content that appeals to a mass audience, combined with the confusion associated with a lack of cross-platform support." Even though Samsung saw a drop in its shipments from last year to this year, IDC reported that this was probably "temporary" and tied to the company's discontinuation and recall of its Galaxy Note 7 line. IDC said this VR leader dominated the category due to its "large distribution network" and its partnership with Oculus. The recent release of Gear VR with a controller has helped boost interest. Sony, the newcomer to the top-five list, has only been shipping its PlayStation VR headset for two quarters. IDC pointed out that with a sizable installed base of PlayStation 4 customers and the support of numerous top-tier game makers, Sony will retain a leadership position in the near term. HTC with its Vive headset kit, which includes motion controllers and room-based tracking, has provided what IDC referred to as a "high-end solution for those willing to pay a premium for the best experience." HTC is particularly finding pickup in "VR cafes," which have gained a lot of popularity in Asia. The company has also launched the Viveport app store and a user subscription service, a combination that other vendors "are trying to replicate." IDC isn't ready to count Facebook out yet, especially not with the addition of controllers, better room-tracking and a reduction in price from $599 to $499. TV maker TCL, which produces the Alcatel VR headset, takes the number five spot. This company faces the burden of relying on a third-party video provider to make the apps, games and videos that appeal to a consumer market, thereby limiting its prospects in the foreseeable future. And what about the AR in that AR/VR combination? IDC calls it "very early days" for AR headsets. Currently, the focus is on getting those devices to developers to create the content, said Tom Mainelli, IDC's vice president of devices and AR/VR at IDC. "Meanwhile, we expect most consumers to experience their first taste of augmented reality through the cameras and screens of their existing mobile devices such as smartphones and tablets," he said.